With college football nearing closer by the second, Mr. College Football, Tony Barnhart, has made his predictions on the 2017 season. The SEC Network Studio analyst joined Steve Russell on ESPN 98.1 FM, to discuss his predictions for the Florida Gators and the rest of college football. While many other college football experts have chosen the Gators to finish in second behind Georgia in the SEC East division, Barnhart thinks otherwise. 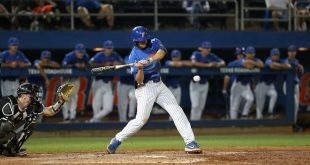 Barnhart believes the Gators will be making a third consecutive trip to Atlanta, finishing ahead of the Bulldogs. The reason Barnhart believes that the Gators have major talent around the quarterback this season and it will show diffidence. 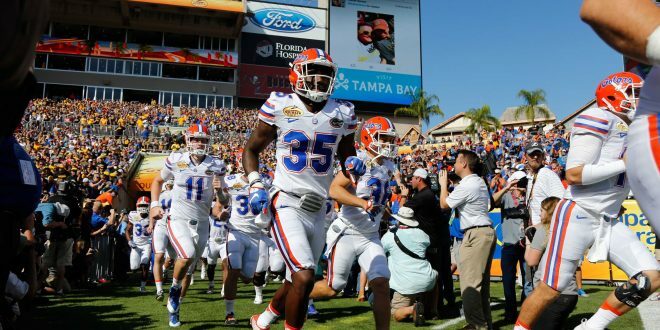 As the September 2nd showdown between Florida and Michigan draws closer, Barnhart talked about what he expects from the two sides. The SEC Network analyst talked about how he isn’t sold on Michigan even though they have received a lot of praise. Even though schools like Florida and Florida State get the most attention nationally, Barnhart has set the bar high for the University of South Florida. The Bulls are under a new regime after former coach Willie Taggart departed for Oregon. New head coach Charlie Strong takes over with a prolific offense, landing his team as favorites to win The American Conference. Barnhart envisions a scenario where the Bulls go undefeated and find themselves in a new years six bowl. The Bulls will begin their season on August 26th against the San Jose State Spartans. The Gators will take on Michigan in Dallas on September 2nd.